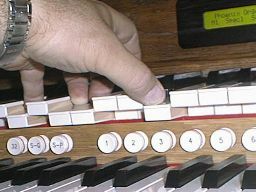 not all thumbnails have a larger counterpart. 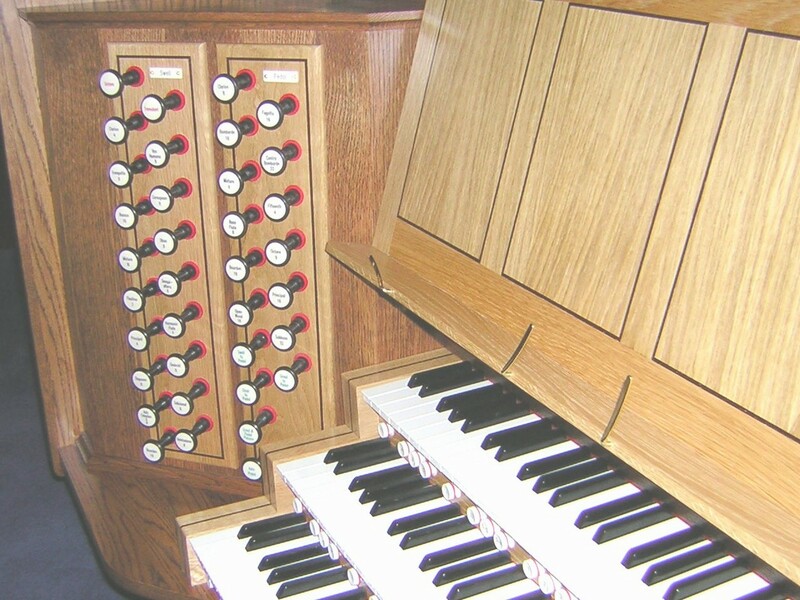 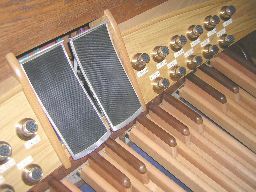 Bloomfield Church is typical of many of its type, having a large gallery around three sides of the building, which can seat up to 700.
and fitting of a disabled lift within the organ chamber, meant that a Phoenix was the only real solution. 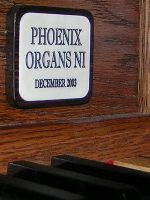 with the console in the foreground This was Phoenix NI's first real collaboration with the well known organ builders' suppliers Renatus (www.renatus.co.uk) and we certainly hope it will not be the last. The quality of their work is exemplary in all respects, and when we first took delivery of this fine console, all we really did was touch and stroke it. 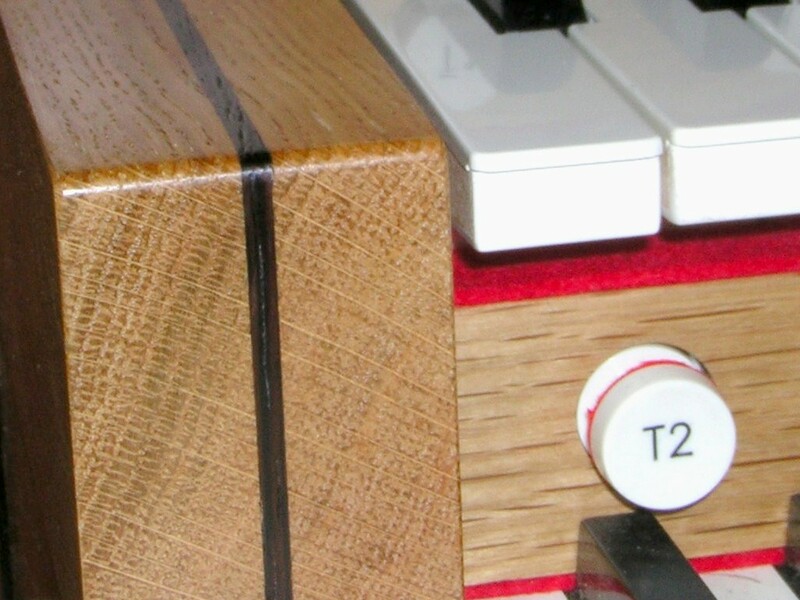 It really is a most beautiful piece of furniture, and constantly invites this tactile response. The photos here - in particular the close ups - can only reveal some of the quality, but a visit is the ultimate experience. 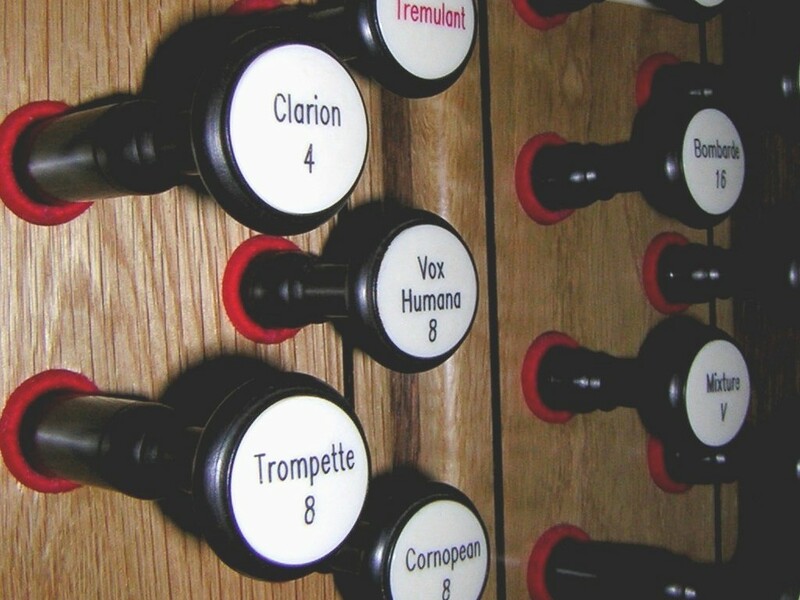 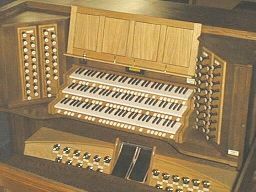 This organ also has the largest bass horn in the country, over twenty feet in length, with a mouth perimeter of over thirteen feet. 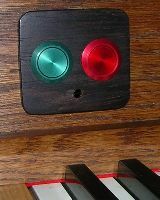 It reproduces a 32' bottom CCCC (16Hz) note effortlessly, and we at Phoenix Organs NI are very proud of this instrument, both from a visual and aural point of view, and are more than happy to show it to anyone who expresses an interest, regardless of whether they are in the market or not. 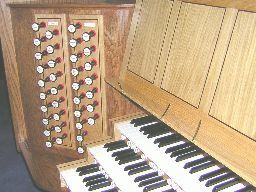 Two general views of the console showing the co-ordinated design approach. 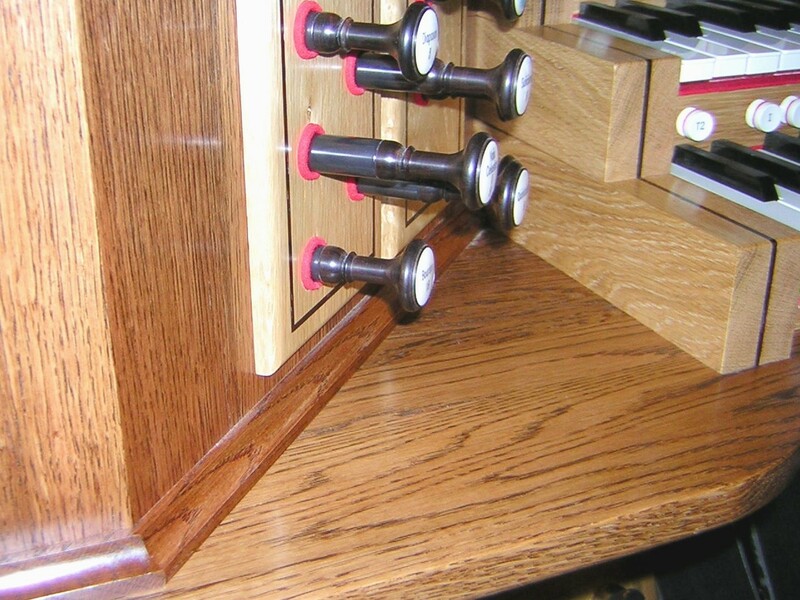 Stained & natural oak, with grenadilla knobs, switch panels and inlays. 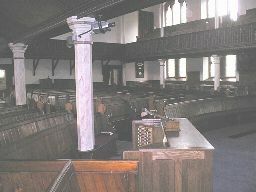 the pine pews, and uses solid panels. 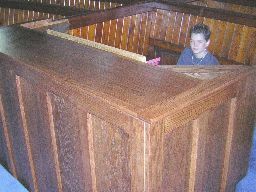 That is my son helping at the flight deck. 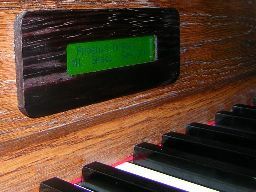 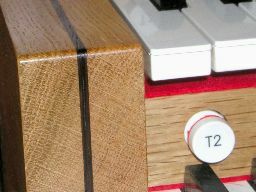 the smooth transition from one material to the next, and the unique hand-turned grenadilla stop-knobs with simulated ivory inserts.